We had a bear market that ended March 6th, 2009, at S&P 666. We are now over 1,800 — up almost three times. We had extremely optimistic sentiment just before Christmas. We had very heavy insider selling, with high valuations, and extremely high corporate profits by historical standards. Over the last two years, most equity markets around the world, in emerging markets, have been down or moving sideways. They’re no longer following U.S. stocks up, and in the U.S., an increasing number of shares are breaking down. In a month’s time, the bull market will be five years old. This is the second longest bull market in the last 100 years. These are all signs of a top, so I wouldn't buy shares here. I’m not interested. Can the market go up another 20 percent? Perhaps. I wasn’t interested in buying the NASDAQ in late 1999, but between January and March 2000, the NASDAQ went up another 30%. Of course, people were crying shortly thereafter when they realized their losses. So the markets go up and down. I think that the upside potential for most stocks is very limited now and there is considerable downside risk. Probably more downside risk than investors realize. Sprott Global: Marc, you live in Asia. 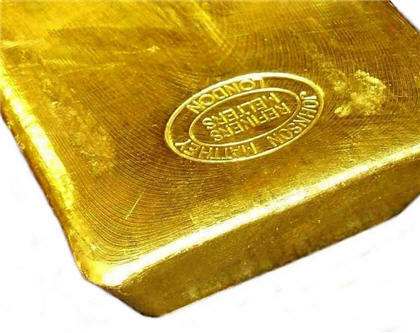 What’s happening on the ground there and what does that mean for gold and natural resources? Marc Faber: Well, that’s a very good question because we have an economic slowdown in emerging economies that is very pronounced. I think some emerging economies may be submerging soon, and have significant economic problems. The question arises, “Will they continue to buy gold?” Say if there was a recession in China — a downturn — would people buy gold? I think if the Chinese economy imploded, it is likely that the currency, the Yuan, would begin to weaken. Or the government would devalue the Yuan. If that were the case, then I think that Chinese investors would shift some of their money into gold rather than keep their funds in the local currency. So I think that a problem in Asia — and geopolitical problems in Asia and in other regions of the world — may lead to higher rather than lower gold demand. Marc, what are your thoughts on the regional Asian conflicts going forward and how might that impact natural resources? The Chinese economy is highly vulnerable to interruptions in the supply of metals and of oil. 47% of global metals consumption is from China2. It’s up from 4% in 1990 and 10% in the year 2000. So they have become a huge factor. Right, over the last three years but when you look at the fundamentals today as compared to 2011, how would you describe the difference? Well basically, we had a huge run-up in prices starting in 1999, from $255 oz. to $1921 oz. in early September 2011. We've been in a correction period since. Now, I think the correction period was partly justified because there was too much enthusiasm and too much speculation, leading to the peak in September 2011. But I think that there may have been some market manipulation as well. My sense is that the correction has probably come to an end. If anything, the fundamentals for gold are much better today than they were at the time of the peak, but the price is down. Every investor understands “buy low and sell high” as a principle, but when prices are low, nobody wants to buy. We had very negative sentiment recently. Of course, we could one day enter a long-term downtrend after the long period of growth and asset inflation over the last 20 to 30 years. But when I compare gold to the S&P, the S&P is up substantially since 2011 and gold is down substantially. If you compare the performance of gold shares to the S&P, it has been a disaster for gold shares. When I look around at asset prices; real estate, bonds, equities, paintings, collectibles, vintage cars, I think that gold is actually one of the few assets that is relatively cheap, relatively inexpensive now.